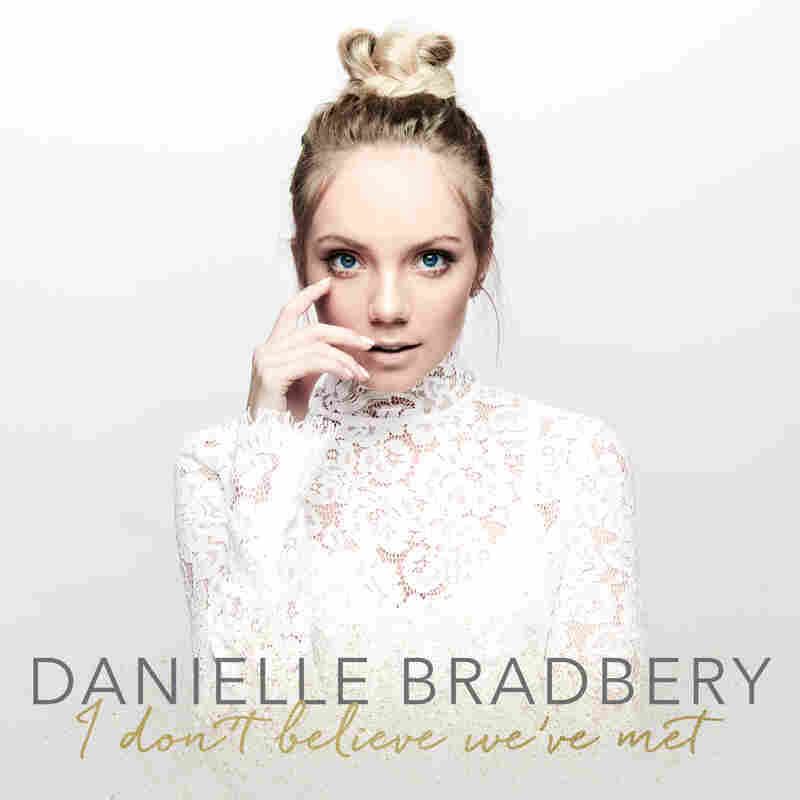 Review: Danielle Bradbery, 'I Don't Believe We've Met' Once a teenage winner of The Voice, the country singer has begun to personalize her craft, with new textures to her big delivery and diaristic self-disclosure in her lyrics. Reality show music competitions have been good to singers who excel at the old-line model of country artistry, which involves projecting warm relatability and delivering big, demonstrative performances of sturdy songs they didn't write themselves. That's what launched Carrie Underwood as a Midwestern diva next door in the mid-aughts, and Danielle Bradbery as a buoyant teenage belter with a honeyed Texas twang nearly a decade later, in 2013. The same month that Bradbery won The Voice, she plunged headlong into the highly professionalized process of Nashville record-making and emerged with an accomplished self-titled debut that felt like it could've been released a musical generation (or two) earlier, thanks to the sunlit sincerity she brought to material from leading Music Row pros. Like many a teen star before her, Bradbery eventually decided that her participation in her own image-shaping had been too passive — that there wasn't enough of her in her songs. "I didn't really have any connection with 'em," she'd later reflect. She no doubt sensed the winds of change in millennial country-pop, since songwriting and production approaches of younger artists have taken on decidedly more personalized textures in the wake of Taylor Swift. Having never considered herself a songwriter, Bradbery ventured into co-writing and worked her way to the newfound diaristic punch of her album I Don't Believe We've Met, a significant, and successful, reinvention captured in a taut 10 tracks. Laying the groundwork for its release, she's emphasized the place she's made for self-disclosure in her new music: "I had to tell myself, 'OK, you're saying all this stuff about wanting to be an "honest" singer-songwriter, and that's exactly what you're about to do, so you can't be afraid of it.'" There's a conversational fluency to songs like "Messy," a pained reflection on a disintegrating relationship. "Your mom's place is my second home," she moons, almost to herself. "It's where I go to find some rest / It's where we met / I can't even think / of my younger brother 'cause he still looks up to you / He'll lose you too." "Human Diary," written by Josh Kerr and Emily Weisband, with whom Bradbery collaborated on a number of other tracks, documents post-breakup anxiety in a way that rings true for intense youthful relationships; dwelling on the countless daily confidences she shared with her ex, who's moved on to someone new, makes her feel uncomfortably exposed. Pivotal lines in the standout ballad "Potential" have a realness that's casually potent, but it's Bradbery's delivery that makes the lyrics land with chilly clarity. She murmurs the verses, softly surging from one cluster of syllables to the next, before leaping to the cursive melodic hook in her head voice, singing it with slightly more force each time. "I'm not in love with you," she declares twice, stretching "love" to three subtly taunting syllables. "I'm in love with your potential." Bradbery already had a big voice at the age of 16. She used to sing with a straightforward attack, taking sentiments head-on, enunciating emotion, but she's consciously recalibrated her approach. Now 21, she's exploring the possibilities of timbre, tone and inflection, and incorporating R&B-steeped pop attitude in a way that feels natural. In the empowered ballad "Worth It," she brings a bit more authority to her indignation with judicious use of note-bending and melisma. In "What Are We Doing," she slides from clipped phrasing into sultrier patterns. She has an easy time executing rhythmic contracts in "Red Wine + White Couch," flowing from rapid-fire bars into smoothly syncopated pushes. The production, courtesy of a variety of new-ish studio talent based in both Nashville and L.A., complements Bradbery's new angle on music-making, filtering guitar-strumming, singer-songwriter-style intimacy through wintry synths and crisp beats. It all adds up to a savvier-sounding Danielle Bradbery, one who's in tune with her sensual side, makes calculated romantic risks and conveys the ambiguities of young adulthood.